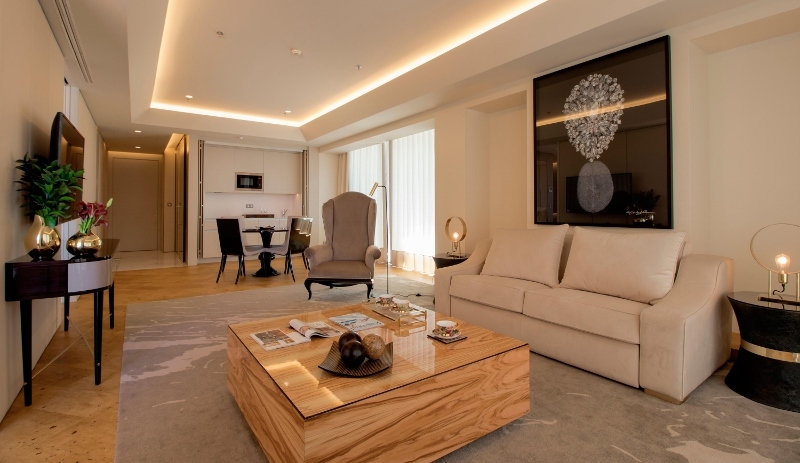 Savoy Palace, Funchal, which will be refurbished and redesigned paying tribute to the island’s traditional art and culture, has unveiled the first glimpse of the new hotel. 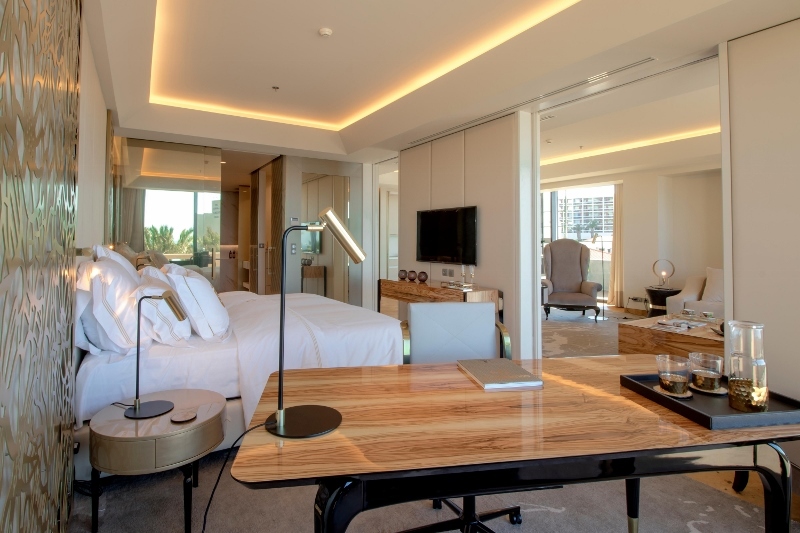 Refurbished in homage to Madeira’s traditional art and culture through its noble and eloquent interiors, the hotel will open its 352 luxury guestrooms and suites. The new property will retain a classic style adapted for contemporary tastes with elegant, rich decorative interiors. 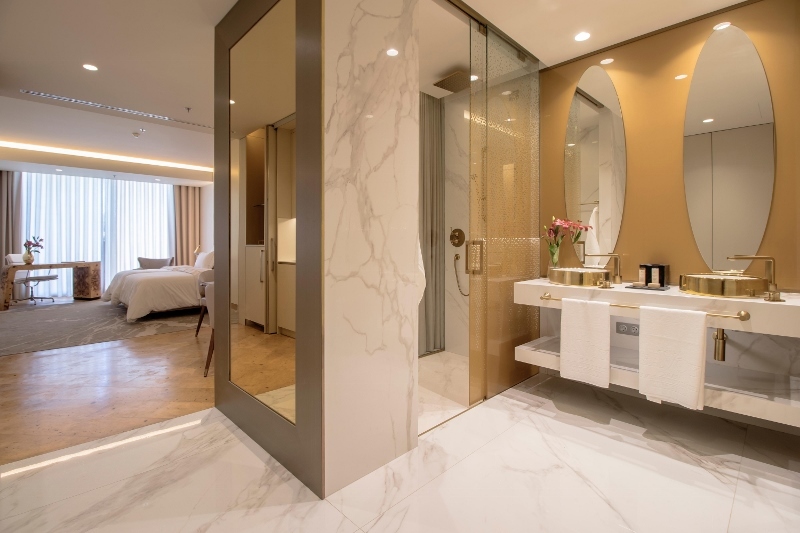 The quality of the materials, the soft textures, along with the perfect finish will certify the hotel’s luxury feel. The bold, curved structure is designed by the award-winning team RH+ and Nini Andrade Silva, one of Portugal’s most famous interior designers, whose work includes the new W São Paulo and Nini Design Centre Funchal. The design is influenced by the Belle Epoque period, which is in harmony with the island’s rich resources; a dynamic blend of natural and cultural heritage. Entering the hotel will be like exploring a poetic world, where colours, textures and iconic ornaments and objects are all important. The aesthetic brings together several elements: the exuberant surrounding volcanic landscape, the unique man-made environment with ancient levadas (irrigation channels) and tunnels, the excellence and mastery of Madeiran embroidery, the centuries-old art of wickerwork, and the expertise involved in the productions of one of the best fortified wines in the world, Madeira wine. The resort’s common areas are bold and inspirational with the emphasis on colour, sinuous curves suggesting plant forms, animals and women, as well as ornaments based on Art Nouveau. The opening of the hotel will indicate that the history of Savoy Hotels & Resorts is being reinvented but the goals remain the same: consolidating and projecting the centuries-old tradition and excellence of the Savoy brand at an international level.